Phase II of the regulatory review conducted by the Competition and Markets Authority (CMA) has reversed that body’s initial conclusions, which predicted that a number of stores would have to be sold to allow the deal to go ahead. Now suddenly, the conclusions of this in-depth review which was started in May states that the proposed acquisition will not have any adverse impact on competition and will not be detrimental to the consumers’ best interest. 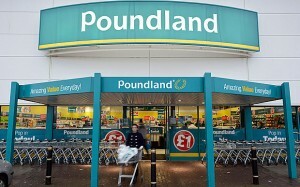 Within hours of the publication of the CMA’s conclusions on 25th August, the Poundland take-over of 99p Stores was presented in the media almost as a done deal, although the final deadline for all parties’ responses/submissions can extend until 16th September. Having conducted a series of individual hearings since mid-July with Wilko, Savers UK, Iceland, B&M Stores, Poundworld, Morrisons, TJ Morris, Pepkor and Poundstretcher, the CMA now appears fairly confident that no new facts are likely to fundamentally contradict the evidence they have gathered thus far. So why such a U-turn within 3 months? The whole notion of market dominance is entirely dependent on how the market is defined. The commission’s panel has concluded that “customers would not face a reduction in choice, value or lower-quality service as a result of the merger“. A reduction in choice between what and what? After the merger, Britain will be left with only one major single-priced retailer, hence the CMA’s initial apprehension, but is that the environment within which consumers make their choice? The CMA’s phase II review redefined the market from a consumer’s perspective, understanding how shoppers make their choices within the broader universe of “value retail”, and extending beyond the narrow definition of Single Price Point (SPP) retailers such as Poundland and 99p Stores to also include “LADs” (Limited Assortment Discounters, such as Aldi, Lidl or Iceland) and “VGMs” (Value General Merchandise retailers like Home Bargains, Poundstretcher etc.). 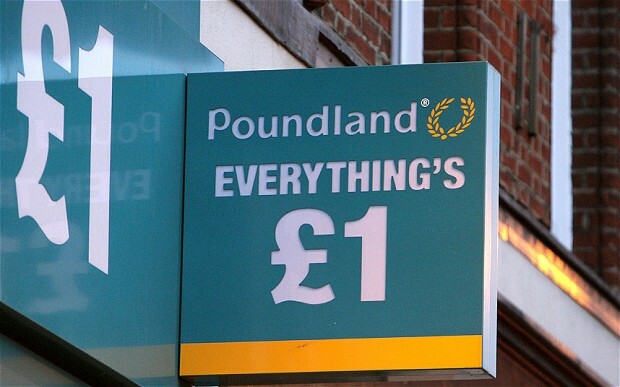 In doing so, Poundland together with 99p Stores move from being “the market” to only being a fraction of that larger competitive set. 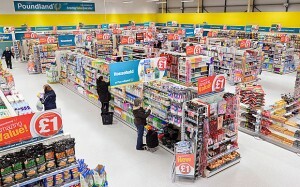 Adding into that mix massive retailers such as Tesco and Asda, who also run fixed price point promotions, and suddenly Poundland’s £ 55 million acquisition of 99p Stores almost pales into insignificance. Q.E.D. : let the deal go ahead! Defining the competitive set within which the users of a product or service make their purchasing decisions is not an easy task, and will always remain somewhat arbitrary. When Guinness Plc and Grand Metropolitan Plc merged, a long debate took place in 1998 with the regulators in Europe and North America as to whether Gordon’s, Tanqueray, Booths and Bombay Sapphire should be viewed as operating within the narrow definition of the gin market, or whether consumers see them as alternatives to other brands in the vast “white spirits” market which includes categories such as vodka and white rum. In this instance, the narrow view was upheld, and this resulted in requirement to dispose of Bombay Sapphire. Likewise, within the whisky market, which includes Scotch, Bourbon, Canadian as well as whiskies produced in vast quantities in Asia and elsewhere, the regulators singled-out premium Scotch whisky as a market in its own right, as a result of which they deemed it unacceptable for Johnnie Walker, J&B and Dewar’s to be owned by one single company, following which Dewar’s was divested. So is it about choice or price? 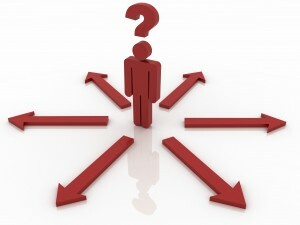 Possibly the best way to understand the regulators’ thinking is to view “choice” as a moderator of pricing. If consumers view Scotch whisky as a more prestigious category than, say, Thai or Indian whisky, then owning a significant share of total Scotch whisky premium products can offer the potential to influence pricing upwards to fully capitalize on that favourable image, and even lead the way for lesser competitors within the segment to follow suit, in the absence of the pressure that would otherwise occur in a more fragmented market. 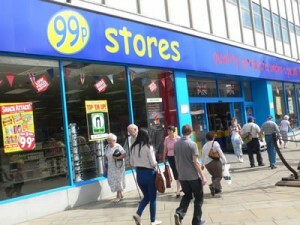 In the specific case of Poundland and 99p Stores, the very concept of single point pricing precludes the possibility of increasing prices, hence another reason not to fear that the merger of these two retailers will pose any threat in the short or medium term to the consumers’ interest.